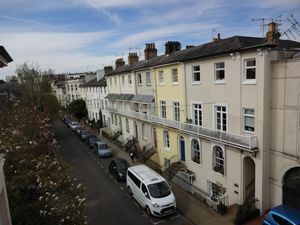 Whether you are buying or selling your home, we have up to date local knowledge of house prices and the housing market in your area, covering Tunbridge Wells, Rusthall, Langton Green, Southborough and surrounding areas. KMJ Property is a family run independent Estate Agency combining good old-fashioned service with cutting edge technology to ensure all our clients receive the best possible service. We are genuinely contactable via email and phone outside of normal office hours. "To David and Suzanne, Many thanks for all your help and support through our house sale. A very professional and personal service. Best wishes, N & N."
"David & Suzanne – Just a quick note to say a very big “THANK YOU” for all your hard work trying to sell our house. We are grateful for the huge effort you have shown, if and when we decide to try again, you will be the top of the list. Thank you again." "Thank you so very much for selling our house so quickly (David said he would at the start). You both kept us cheerful even though a buyer dropped out at the last minute, but the next one got done in double quick time. Thanks again for being so ‘normal’ and friendly and down to earth." "KMJ Property were fast at finding us good buyers, authentically friendly and knowledgeable about the locality, which is completely different to other estate agents I have encountered. Suzanne and David have a genuine enthusiasm for their business which shows in the quality of their work. We were not pressured in any way, in any aspect of the sale, which was appreciated following a bereavement." 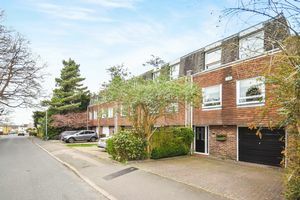 "We chose to put our house on the market with David and Suzanne at KMJ despite their office being situated in Rusthall and our house being close to the centre of Tunbridge Wells. The reason for this was their friendly, positive and enthusiastic manner which shone out way above the other agents we had round. The result ….. our house went under offer the week after it went on the market and at a price we were very happy with. They produced beautifully presented property details and there was no shortage of viewings from the onset. A couple of months on, our dream of living in Edinburgh is now a reality. Can’t recommend them enough!" "David and Suzanne have excellent customer service, keeping me informed throughout the sale of my Father’s property. Their dedication to their clients is evident. I would not hesitate in recommending them." "I have been very impressed with the service provided by David and Suzanne. They took great photos and communication with them was fantastic. They helped us get through various issues we had with the sale and would have no hesitation in recommending them." "My partner and I recently purchased our home in Rusthall through KMJ. I have to say we found KMJ to be the most helpful estate agents we came across when looking for a property, they really were interested in what we were looking for rather than showing us around everything on their books. 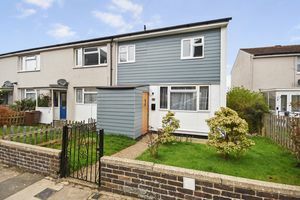 We were working to quite a tight timescale for completion when buying and Suzanne was great at keeping us informed on progress during the purchase of the property. The welcome card was a really nice touch when we picked up the keys from David to our new home!" "Thank you ever so much for your help and support with the sale of *******. After 1 year of looking and 42 houses later we’re VERY happy to finally be in. All the best.."